Emilio Boneventura Altieri was born in Rome in 1590, the son of Lorenzo Altieri and Victoria Delfin, a noble Venetian lady. His brother was Giambattista Altieri. The Altieri family belonged to the ancient Roman nobility  and had enjoyed the highest consideration at Rome for several centuries; they had occasionally contracted alliances with the Colonnas and the Orsinis. During earlier pontificates, the Altieri held many important offices and had been entrusted with several delicate missions. On the 8th of June Clement X took possession of St. John Lateran. On 11 June, he confirmed the Minor Observantines in the Holy Land in the privileges and indulgences granted to those who visit the holy places, according to the decree of Popes Alexander VII and Clement IX. In the same month he granted to the prelate-clerks of the chamber the use of the violet-coloured band around their hats. Occasionally forgetful, he sometimes promised the same favors to different people and came to rely on his cardinal-nephew, Cardinal Paoluzzi-Altieri. All but one of the male scions of the Altieri family had chosen the ecclesiastical career. 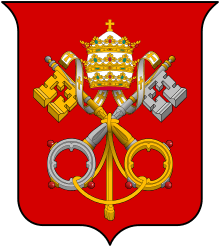 On his accession to the papacy, Clement X, in order to save the Altieri name from extinction, adopted the Paoluzzi family, and proposed that one of the Paluzzi should marry Laura Caterina Altieri, the sole heiress of the family. 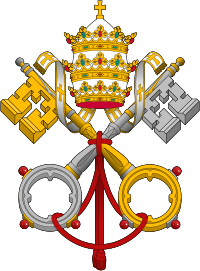 In exchange for adopting the Altieri surname he would make one of the Paoluzzi a Cardinal. Following the wedding, which he officiated, he appointed his relative by marriage Cardinal Paoluzzi-Altieri, the uncle of Laura's new husband, to the Office of Cardinal Nephew to take on the duties which he was prevented from doing by age. The main activity was to invest the Church's money, and with advancing years gradually entrusted to him the management of affairs, to such an extent that the Romans said he had reserved to himself only the episcopal functions of benedicere et sanctificare, resigning in favour of the Cardinal the administrative duties of regere et gubernare. Like all the pontiffs, Clement X advised the Christian princes to love each other, and to prove it by generous measures, and by a prudent and scrupulous conduct. It was especially between Spain and France that the pope desired to witness a renewal of feelings of good understanding. In 1671, the Pope published an edict by which he declared that a noble might be a merchant without loss of his nobility, provided always that he did not sell by retail. In 1676, Gianlorenzo Bernini scculpted one of his final statues, a bust of Clement X. On 13 January 1672, Clement X regulated the formalities to be observed in removing the relics of saints from sacred cemeteries. No one was to remove such relics without the permission of the cardinal-vicar. They were not to be exposed for the veneration of the faithful, unless previously examined by the same cardinal. The principal relics of the martyr – that is to say, the head, the legs, the arms, and the part in which they suffered – were to be exposed only in the churches, and they were not to be given to private persons, but only to princes and high prelates; and even to them but rarely, lest the too great profusion should deprive relics of the respect which they ought to inspire. 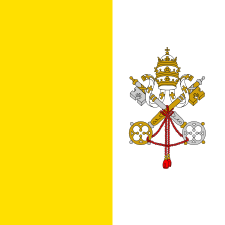 The Pope decreed severe penalties against all who gave a relic any name but that given by the cardinal-vicar. The pain of excommunication was pronounced against all who should demand any sum whatever for sealed and authentic relics. These decrees, and others made by preceding Popes, were confirmed by Pope Clement XI (1700–21) in 1704. Another edict confirmed the first, and ordered the confiscation without distinction of all goods that did not pay the new tax. The cardinals at first complained, though with moderation. But the ambassadors didn't speak Clement X's language. The Cardinal nephew maintained that Clement X, within his own State, might make what rules he pleased. Then the ambassadors of the empire, of France, Spain, and Venice, sent their secretaries to demand an audience of the Pope. The chief chamberlain replied that the Pope was engaged that day. And for four days in succession the chamberlain gave the same answer to the same applicants. Clement X, learning at length what had occurred, declared that he had given no such order. The ambassadors then sent their secretaries to ask an audience of Cardinal Altieri. He not only refused to admit them, but closed his doors and increased the guard at the pontifical palace, so that the offence could go no further. 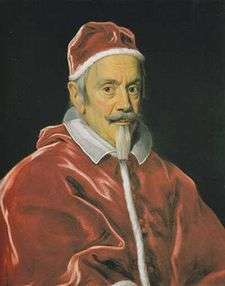 Subsequently the Cardinal nephew wrote to the nuncios who resided in the courts of Europe, stating that the excesses committed by the ambassadors had induced the pope to publish the edict. The ambassadors, on the contrary, assured their sovereigns that the accusation was a pretext. The conflict lasted for more than a year; and Clement X, who loved peace, at length referred the matter to a congregation. Some time after, Cardinal Altieri declared that he had not intended to comprise the ambassadors among those for whom the edict was intended, and that the pope had never contemplated subjecting them to it. On 22 July 1676, the agonies of the gout became so violent that Clement X died under them. He was eighty-six years old, and had governed the Church six years, two months, and twenty-four days. His tomb is in St. Peter's Basilica. To Pope Clement X we owe the two beautiful fountains which adorn the Piazza of St. Peter's church near the tribune, where a monument has been erected to his memory. During his papacy, the Palazzo Altieri in central Rome was refurbished. Wikimedia Commons has media related to Clemens X. This article incorporates text from a publication now in the public domain: Herbermann, Charles, ed. (1913). "Pope Clement X". Catholic Encyclopedia. New York: Robert Appleton.